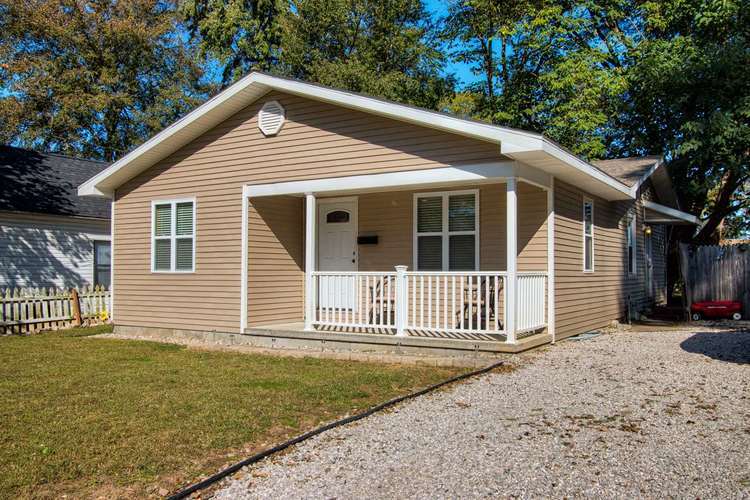 2/3 Bedroom Remodeled Home with Large Fenced-in back yard Features Include: Detached Building, Hardwood Floors, Canned Lighting, Replacement Windows, Newer Siding, Roof, Flashing, Porch. Conveniently located to the amenities of town. Qualifies for 100% Financing, and perfect for 1st time home buyers. Directions:From Newburgh, In, follow IN-66 East toward Rockport. In Rockport, turn right toward Vine Street. Slight left on Vine Street, home will be on the left.